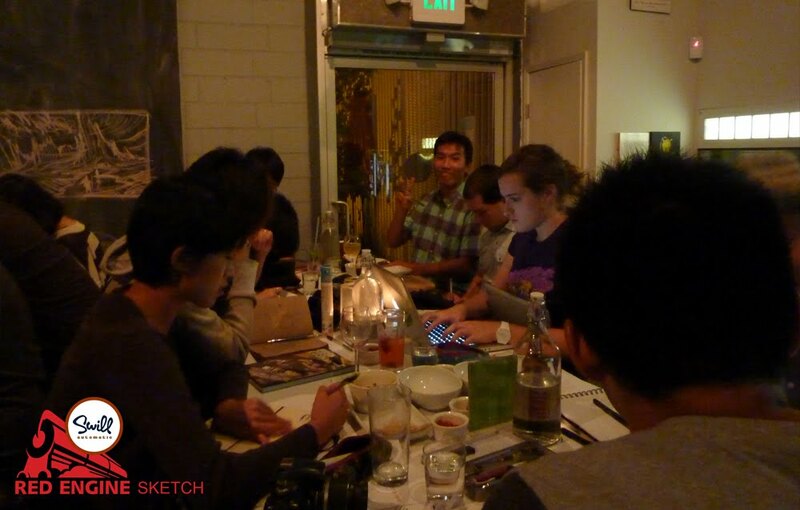 Red Engine Sketch is a sketch group for professionals, art student, and casual artists that meet every Tuesday nights in Downtown Los Angeles. Sketch and Drink until you're RED! 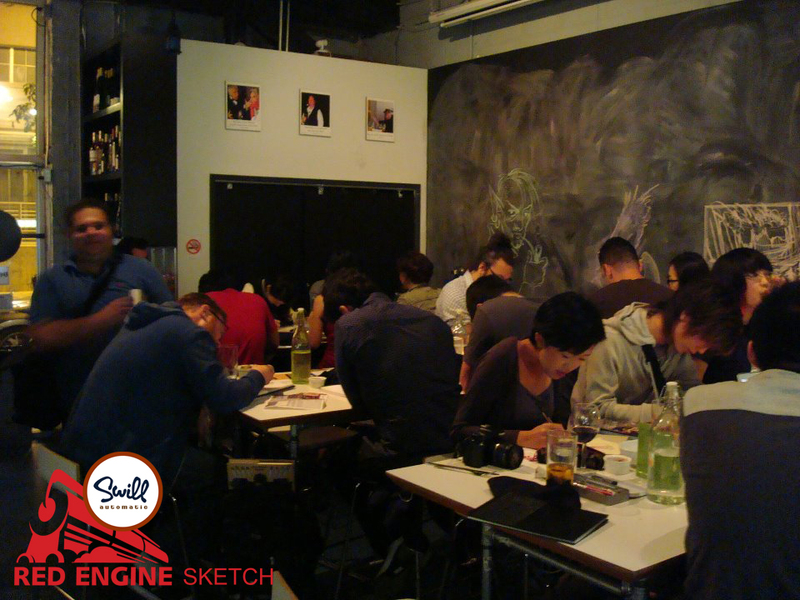 Red Engine Sketch is a gathering of artists every other week to come together and have fun sketching. We'll be sharing sketching tips, sketching games, and a bit of tutorials now and then. The event is sponsored by Swill Automatic and we'll have special "Red Engine Happy Hour Menu" through out the night and the whole place to ourselves! ARTISTS ONLY but wannabe artists are welcome too. Last edited by wazabi; September 14th, 2011 at 04:49 AM. We have many professionals and college students as well as non artists join us for the first meeting. 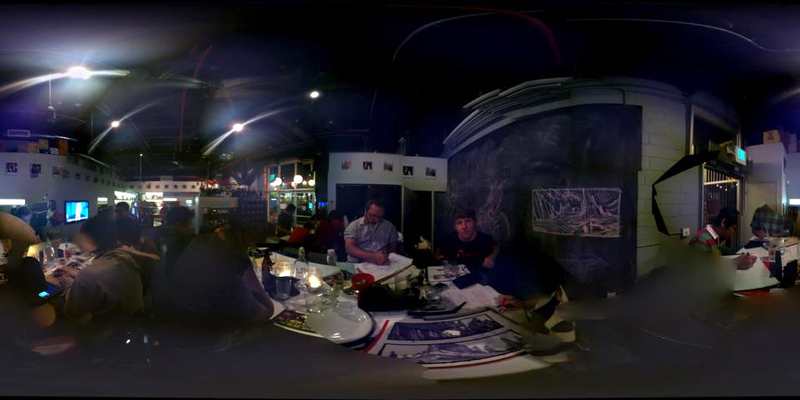 Good food, good company, and lots of art. Come join us on the next one! Looks like fun. I live in Venice, unfortunately and can't make it to downtown on Tuesdays. Any chance you guys will have a Santa Monica / Culver City / Venice drawing club? D.M 30 min is nothing in LA standards, no? SlowDaddie - Some of the members come from Santa Monica, you might be able to carpool with them. 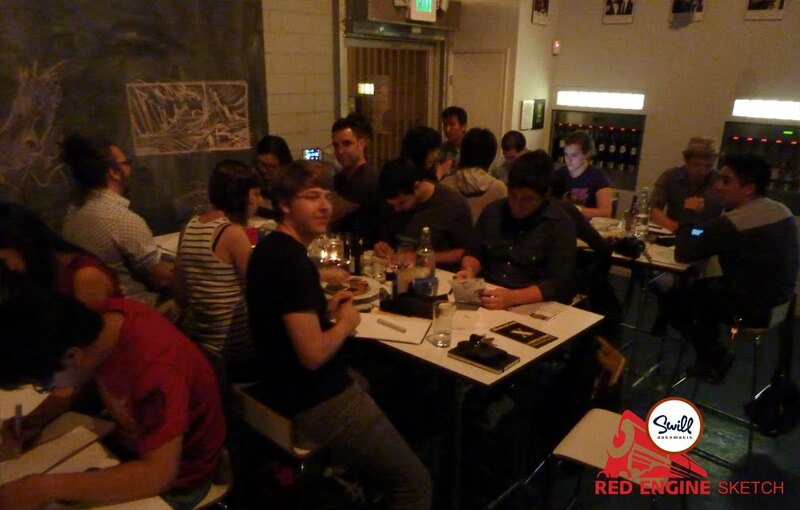 We have a sponsorship with the restaurant so we have the whole place to ourselves and we have special discount menu. I don't think if we can get the same deal in Santa Monica or Venice. Also we are planning on figure drawing sessions soon and the studio is upstairs to the restaurant which makes it convenient. Hey is this still going on? I'm really interested and just came across it today. is it weekly or what? my first thought was "where do they find the room? swill is tiny"
then i saw the photos... yup, packed in like sardines. well, looks like you guys are having fun. unfortunately my tuesdays are all booked up. does anyone know of any sketch groups on the west side? near santa monica? or should i start one? All artists that live in the L.A. area NEED to check out HipSwap.com. You can sell all your stuff online and tons of people that are into your little niches and what nots will gobble it up like candy.